How to grow tomatoes? If you are a competitive gardener who is looking for the best tips to have great tomato results, then this will be the perfect place for you. 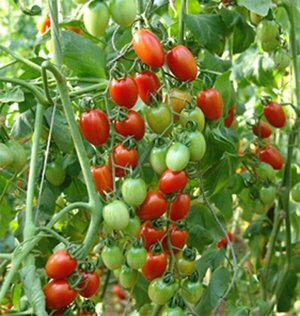 Growing tomato plant is not difficult, but if you are competitive, then you will want the sweetest tomato harvests and not just any results. If you plant your tomatoes by planting the seeds, then you will have to make sure that when planting the seeds, you leave plenty of room for each of the seedlings to branch out. Over crowding their place of live will limit and inhibited the seedlings. To ensure that you will not over crowd the seedlings, you can use pots and put only four seedlings in each pot soon after you see that they have their first leaves. Strong lights is what the seedlings consider as enough light. Moreover, the light must be direct. During the short days of the winter, you should not be planting your seedlings as even when you think that you have put the container near the brihtest window, but as the sun is often clouded, still they will not have sufficient light. If you want to make sure that the plants is growing as you expected, then you need to keep them in the garden during summer as they wil have abundant sun directly. For those of you who do not know, the tomato plants have the need to move in the breeze in order to develop strong stems. If you are planting at the outdoor areas, then the nature will take care of this issue for you. However, if you are growing the seedlings indoor, then you will need something to replace the breeze. Technology will answer this problem for us as we can use a fan and put it near the seedlings for about 5 – 10 minutes a day, twice a day. Tomatoes love the breeze but at the same time, they also love the heat. To make sure that they will get enough heat, you can use black or red plastic over the soil for a few weeks before you want to plant the seedlings. The plastic blanket will give you extra heat and this will be very useful if you want to get those sweet tomatoes.